ABS-CBN International (“ABS-CBN”) allows you access to its website at www.mytfc.com website (the “Website” or “mytfc.com” or “usa.mytfc.com”), subject to the terms and conditions contained herein and in such other terms and conditions as may be applicable. If you are outside the United States, you confirm and acknowledge that you will comply with the relevant laws of California, USA in accessing and using this website. The Website is comprised of various web pages including, but not limited to, programming and related services provided by ABS-CBN and our various global corporate affiliates, interactive features, audio-visual, audio, video and/or content streams of television shows, movies, music and other entertainment content, or clips or excerpts thereof, owned by or licensed to ABS-CBN International and its subsidiaries and affiliates (“the ABS-CBN Group” or the “Subsidiaries and Affiliates”). These Terms and Conditions of Use (“Terms”) constitute legally binding terms and govern your use of www.mytfc.com and the associated services which are operated by ABS-CBN. Any reference to “we,” “us,” or “our” in the Terms refer to ABS-CBN. Any reference to “you” or “user” refer to the person using the Website. Certain areas of the Website may require registration or may otherwise ask you to provide personal information such as your name, email address, city, state, and country in order to participate in certain features or have access to certain Components (as defined below) of the Website. The decision to provide your information is purely optional, however, if you chose not to provide such information, you may not be able to access certain Components or participate in certain features of the Website. When you provide information, you agree to provide only the true, accurate, current and complete information and acknowledge that it is your responsibility to keep information current. In addition to any personal information or other information you choose to submit to us, we may use a variety of technologies that automatically (or passively) store or collect certain information from your computer hardware and browser, including your IP address, cookie information, software and hardware attributes, whenever you visit or interact with the Website. We will limit access to your personal information to employees, agents, and representatives who need to access your personal information in order to accomplish their functions. Furthermore, these employees, agents and representatives are obliged to keep your personal information confidential. We will not use or disclose sensitive personal information, such as race, religion, or political affiliations, without your explicit consent. 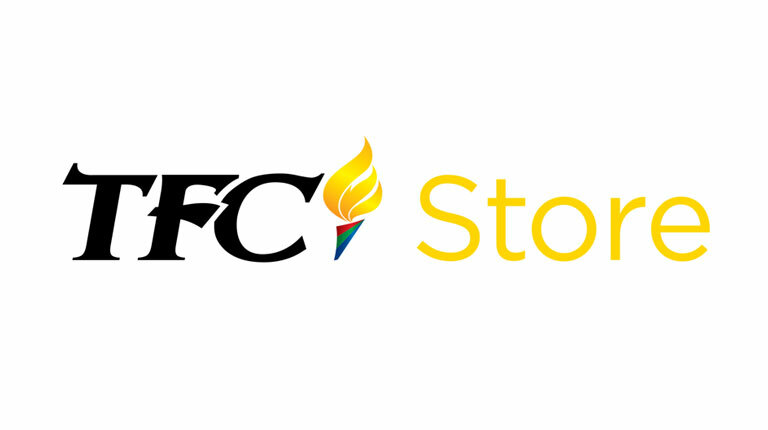 You acknowledge that ABS-CBN, the ABS-CBN Group and/or its Subsidiaries and Affiliates owns and/or has the exclusive right to use “mytfc.com”, the TFC logo, the ABS-CBN logo and other marks and logos related to the Website and the programs, channels and content therein (collectively the “ABS-CBN marks”). You agree not to use or display any ABS-CBN mark/s in any manner, and/or not to assert any right or claim thereto or ownership thereof. You may only access and view the Website and Components personally and for non-commercial purpose (“Right to Use”). Your Right to Use does not grant, convey or otherwise transfer any license, sublicense or ownership of any such Components. You agree not to sell/resell, digitally stream, broadcast or disseminate, modify, rent, lease, distribute or create derivative works based on the Website or any programs or content thereof, or retain any copy/duplicate of any Components, in whole or in part, absent the prior express written authorization of ABS-CBN. You may publish, transmit, submit, tag or post (collectively, “Post”) photographs, videos, reviews and comments that are directly relevant to mytfc.com or to the linked websites. You may also chat or send electronic communications (collectively, “Chat”) to other Website users. Posts will be deemed user contributed materials and shall be subject to the policies regarding User Posted Material detailed hereof. Mytfc.com may show advertisements and communications from ABS-CBN, and its Subsidiaries and Affiliates. Unless otherwise specified, no advertisement, communication or information shall be deemed as a binding offer from ABS-CBN, or its Subsidiary or Affiliate. Furthermore, ABS-CBN makes no warranty, representation(s) or endorsement of any goods or services offered thereof. Instead, the advertisement, communication or information may be considered as an invitation for you to purchase products of ABS-CBN and its Subsidiaries and Affiliates or to engage or avail of their services. Mytfc.com may also show advertisements and communications from advertisers other than ABS-CBN (“Other Advertisers”). You agree that your correspondence, transactions or dealings with the Other Advertisers are solely between you and the Other Advertisers (including, but not limited to, issues related to the content of third-party advertisements, payments, delivery of goods, warranties, privacy and data security). You agree and acknowledge that ABS-CBN shall not be liable for, and that you shall hold ABS-CBN and its Subsidiaries free and harmless from, any loss, claim, suit, proceedings or damage in connection with your correspondence or dealings with the Other Advertisers. For more information on the system requirements of the Website, please let us know through our CONTACT US page.